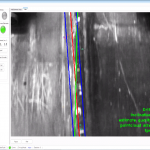 This innovative technology is using an industrial camera to recognize the weld seam. Image processing algorithms constantly extract the weld features from the image stream and determine its center position. 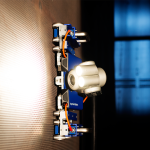 a specially designed camera system with auto focus and adjustable diffuse LED lights is "looking" at the weld and transmits the information live to the control software. 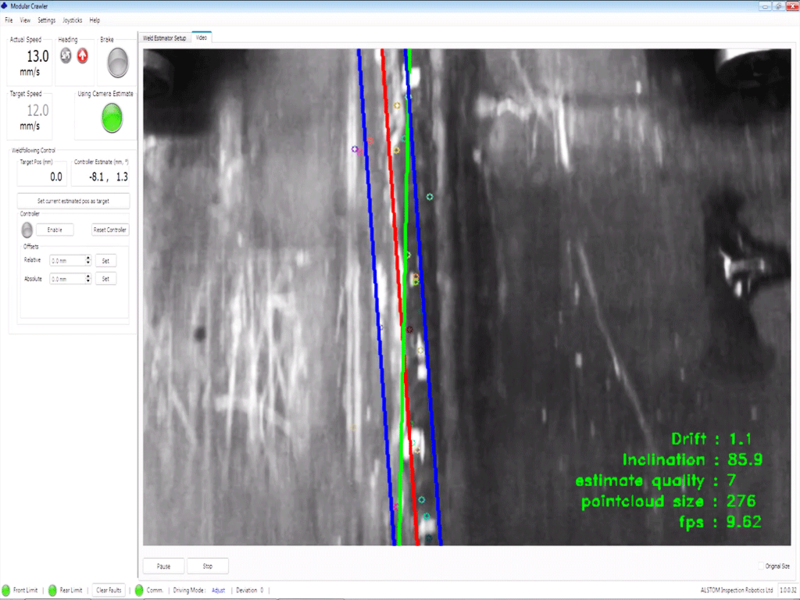 two implemented software algorithms (SIFT & template matching) are processing the camera information, extracting the weld features and comparing them to the known weld. The exact weld center position is calculated and correction factors are sent to the motor controllers. 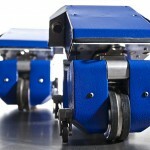 With this information the robot can follow the weld precisely. One of our research projects is autonomous weld following. 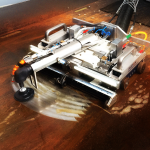 This innovative technology is using an industrial camera to recognize the weld seam. 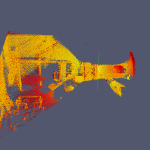 Image processing algorithms constantly extract the weld features from the image stream and determine its center position. 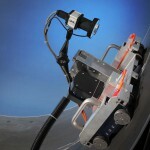 The information is sent to the on-board motor controllers which maneuver the robot precisely along the weld. 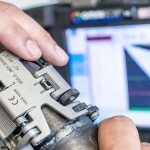 Phased Array Ultrasonic is becoming more and more the standard NDT method for weld inspection. 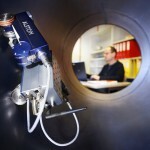 Most NDT service companies have trained personnel and modern Ultrasonic equipment to perform these inspections. 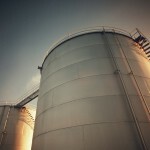 More than ever asset owners and service companies are under huge pressure in terms of turnover time, quality and safety. 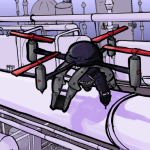 With the development of autonomous weld following we are able to support our customers on these inspections. Like the human eye the technology is based on visual recognition of predefined patterns. 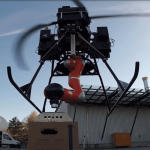 It allows the operator to manually drive along the weld or to automatize the system by activating on the software algorithms and motor controllers. 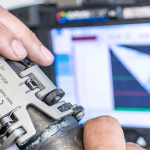 Depending on the weld and environmental conditions like luminosity, painting or coating the operator can select one of two predefined algorithms to properly detect a weld. 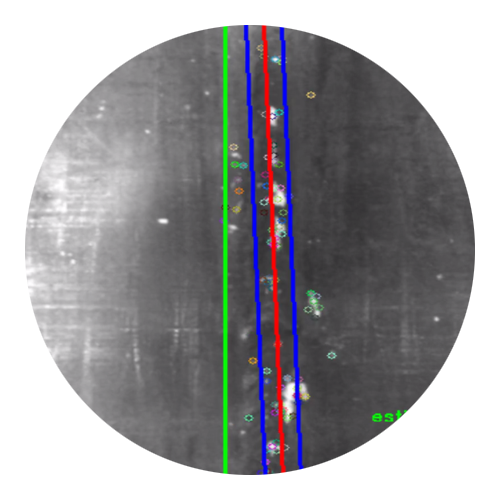 One algorithm is template matching where the software compares pre-captured weld templates with the actual camera picture. The second algorithm is SIFT (Scale-invariant feature transform) where the code is looking for specific features which are typical for a weld. Both algorithms need some pictures of the actual weld to work reliably.